Portrait of Steno as a bishop. 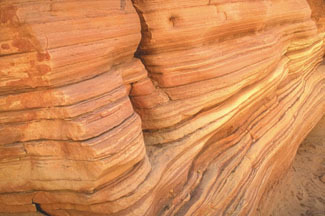 Nicolaus Steno has been recognized as making some of the first ‘truly great discoveries’ in geology.1 His fundamental principles of geology are still routinely used to interpret sedimentary rock layers. Although he is called a founder of modern geology, most geologists do not realize that it was Steno’ belief in the Bible, especially Genesis, that led him to make those discoveries. Niels Stensen (as he was originally named) was born in Copenhagen, Denmark, on 10 January 1638. His father was a well–to–do goldsmith. Niels was brought up in Copenhagen as a Lutheran. In 1665, Stensen went to Florence in Italy and became court physician to the Grand Duke of Tuscany. 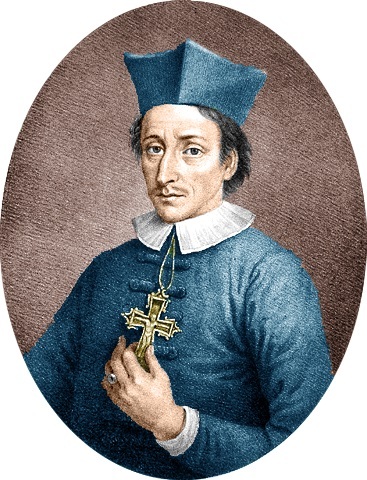 Here he changed his name from Niels Stensen to its Latinized form, Nicolaus Steno. Fortunately, the Grand Duke was happy for Steno to conduct his scientific research as well as act as physician. Steno published his geological findings in 1671 in The Prodromus [a preliminary treatise] to a Dissertation Concerning Solids Naturally Contained Within Solids, ‘a book in which he outlined the principles of modern physical geology’.4 The bodies enclosed in the rocks included both fossils and crystals, while many of the rocks occurred in layers called strata. Steno’ dissertation therefore covered the study of fossils (paleontology), the study of rock strata (stratigraphy) and study of crystals (crystallography). The fuller dissertation foreshadowed in his Prodromus was never produced. Nevertheless, his work is acknowledged as ‘one of the most fundamental contributions to geology because of Steno’ qualities of observation, analysis, and inductive reasoning at a time when scientific research was nothing but metaphysical speculation.’5 In effect, Steno used the modern scientific method long before it became generally adopted. Steno published these findings in his Sample of the Elements of Myology [the scientific study of muscles] in 1667, and demonstrated how the teeth had come to be mineralized.8 This was an enormous contribution to the study of fossils. The shark teeth naturally led Steno to consider how such fossils came to be embedded deeply in the rocks. The well–known atheist Isaac Asimov admitted that ‘Steno … suggested that they [the fossils] were ancient animals who had lived normal lives and in death were petrified.’7 However, Asimov wrongly concluded that Steno rejected Noah’s Flood, because ‘No supernatural forces were brought into [Steno’s] explanation.’7 This conclusion was an unjustified extension beyond the facts. A religious justification would have been inappropriate in a scientific paper, and an appeal to miracle was not required in any case. As the writings of today’s Flood geologists show, while there are definite miraculous aspects to the account of Noah’s Flood,11 there is no need to appeal to any such thing to explain the geological consequences of the destruction wrought upon the Earth by water. Steno believed in a literal global Flood and other aspects of Genesis 1–11, such as the 6,000–year timeframe. He also used the Bible to interpret his geological findings, which he found were totally consistent with Noah’s Flood. 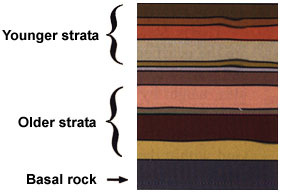 Figure 1: The fundamental principles of stratigraphy, established by Steno: deposition of each bed upon a solid substratum, superposition of younger strata over older ones, and the occurrence of all beds except the basal one between two essentially horizontal planes. It is important to realize that Steno was not forced reluctantly into a 6,000–year timeframe by church dogma, as some evolutionary–minded historians claim. There was no recorded friction between Steno and any church authorities on the issue. Rather than church pressure, it was Steno’s belief in a young Earth as described in the Bible that prompted his independent thinking on geology and fossils. Figure 2: The simplest crystal shape is a cube with six equal square faces, all at right angles, e.g. common salt (sodium chloride). Each type of crystal of a chemical or mineral has its own characteristic angles. Quartz is made of hexagonal crystals with 120o between faces. While stratigraphy today is used as a major plank of evolutionism,6 its founder, Steno, was a firm believer in a literal, historical creation by God, as outlined in the Bible, and also the global Flood. This was true of the founders of many other scientific disciplines. 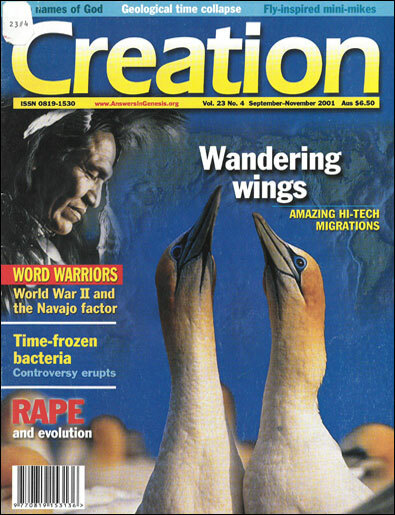 Although some of them would not be regarded as theologically sound overall, it is still instructive to note that modern science blossomed in an intellectual framework of belief in a six–day Creation about 6,000 years ago. Compare this reality to the protestations of the vociferous anticreationists who claim that belief in a miraculous original Creation is by definition opposed to scientific thought. Steno lived in various German towns during his later years, the last being Schwerin, where he died on 26 November, 1686. His achievements more than justify the way he is widely remembered, as a founding father of modern geology. It is also important to remember that Steno was a Biblical geologist. His achievements were nurtured by his belief that the Bible records the true history—including geological history—of the world. Press, F., and Siever, R., Earth, 4th ed., W.H. Freeman and Co., New York, p. 28, 1986. Return to text. Williams, T.I. (Ed. ), A Biographical Dictionary of Scientists, 3rd ed., Adam & Charles Black, London, p. 493, 1982. Return to text. Graves, D., Scientists of Faith, Kregel Resources, Michigan, p. 73, 1996. Return to text. Ronan, C.A., The Cambridge Illustrated History of the World’s Science, Cambridge University Press, Cambridge, p. 390, 1983. Return to text. Encyclopedia of World Biography, 2nd ed., Gale, Detroit, 14:425, 1998. Return to text. Morris, H.M., Men of Science, Men of God, Master Books, California, p. 18, 1988. Return to text. Asimov, I., Biographical Encyclopedia of Science and Technology: The Lives and Achievements of 1510 Great Scientists from Ancient Greece to the Space Age, 2nd revised ed., Doubleday & Co. Inc., New York, p. 105, 1982. Return to text. Hallam, A. (Ed. 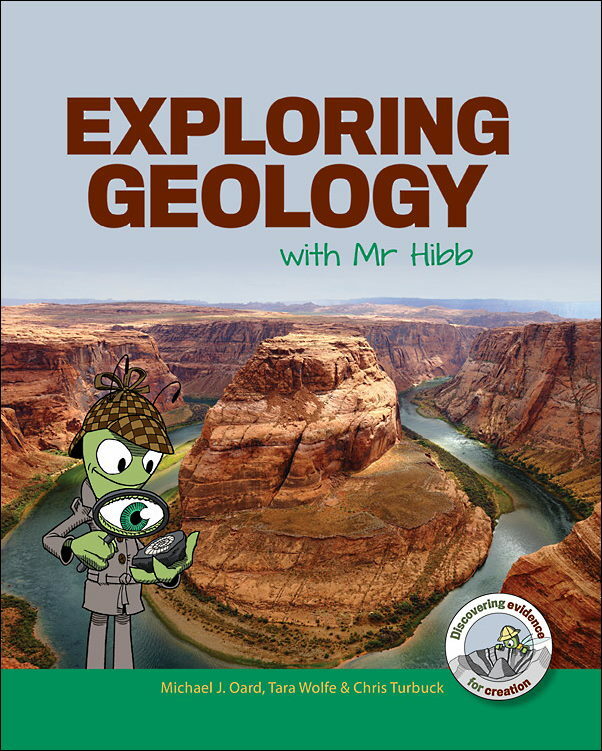 ), Planet Earth: An Encyclopedia of Geology, Rigby, Sydney, pp. 307–308, 1977. Return to text. Ref. 4, p. 391. Return to text. Steno, N., The Earliest Geological Treatise—1667, translated by Axel Garboe, MacMillan & Co., London, p. 17, 1958. Return to text. E.g. the sending of the animals, the foreknowledge of the catastrophe, the closing of the door and possibly the initiation of the Flood. Return to text. Such laws are of course also God–ordained and our description of the way God usually upholds His creation (Col. 1:17) in a regular way, but a miracle is by definition a non–normative action of God; i.e. an addition to ‘natural’ law. Return to text. Ref. 5, p. 426. Return to text. Recent experimental studies show that when water is moving, some of Steno’s principles need to be modified. See, for example, the video: Berthault, G., Experiments in Stratification, A Sarong (Jersey) Production, 1999. Return to text. Encyclopedia Britannica, 15th ed., 11:247, 1985. Return to text. Ref. 3, p. 72. Return to text.